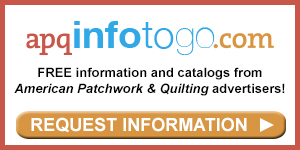 Located in a former bowling alley, The Cozy Quilt in Spokane, Washington, has plenty of room for quilters to audition fabric. Handcrafted cedar display units house bolts, samples, and patterns at The Cozy Quilt. Because the space is so large, sample quilts, such as Scrappy Stars, are often arranged on cabinets and sewing tables throughout the shop. Front row, from left: Cheryl Poffenroth and Carol Jones (owner); back row: Barb Gutierrez, Chris Tipton, and Chris Schrader. 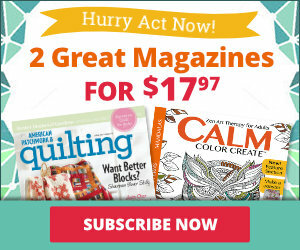 A rainbow of solid-color fabrics and modern quilt patterns is always available. Bright batiks and quilts energize shop walls. 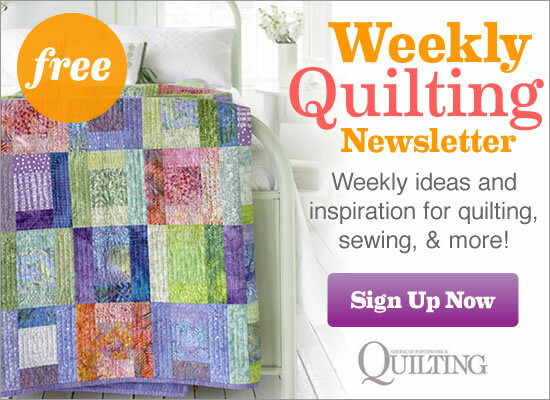 Floral fat quarters shine in Summer Blooms by The Cozy Quilt. Samples showing off textures are a highlight of the children’s area. Frame a whimsical children’s novelty print in wonky blocks to fashion a cute kid’s quilt. 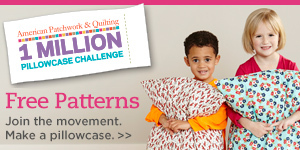 Shop owner Carol Jones designed Squiggles & Wiggles for Quilt Sampler® Fall/Winter 2013 magazine. A wave design in the blocks and ribbon motif in the sashing stand out in Karen Brown machine-quilting in Squiggles & Wiggles. 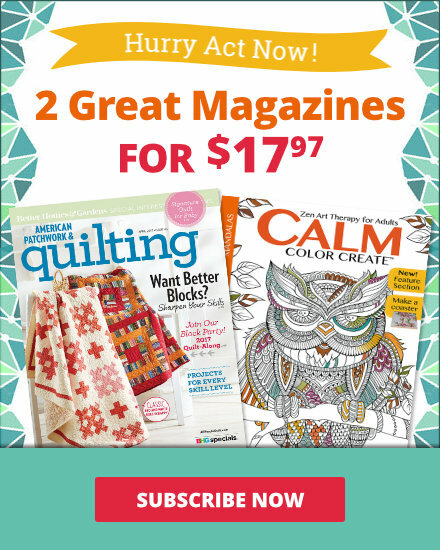 Contact The Cozy Quilt to purchase a copy of Quilt Sampler® Fall/Winter 2013 magazine, pick up the issue at your local quilt shop or newsstand, or get the digital issue online. Peek inside Sew Sweet Quilt Shop, another quilt shop featured in the Fall/Winter 2013 issue.